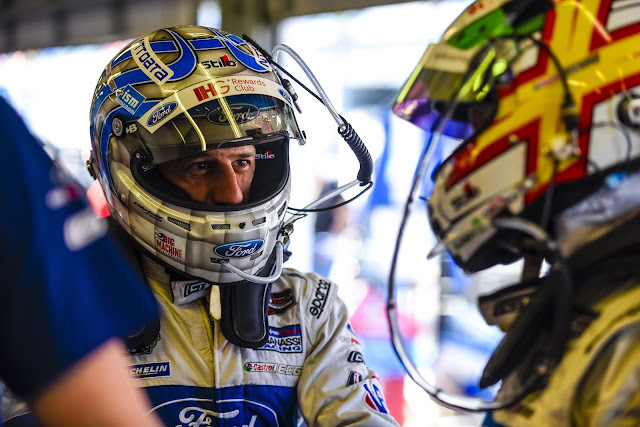 Ford Chip Ganassi Racing Driver Tony Kanaan will replace Sebastien Bourdais in the #68 Ford GT, joining Joey Hand and Dirk Müller at Le Mans 24 Hours. Indycar champion and Rolex 24 At Daytona winner Tony Kanaan will join Joey Hand and Dirk Müller in Ford Chip Ganassi Racing’s #68 Ford GT at the Le Mans 24 Hours next month as the team looks to defend its 2016 GTE Pro Class victory. The Brazilian fills the seat left vacant by Sébastien Bourdais, who was injured during qualifying for the Indianapolis 500. This will be Kanaan's first 24 hours of Le Mans. The Brazilian driver who signed up with Chip Ganassi Racing in 2014, has spent significant time in the Ford GT this year. He drive the #69 Ford GT at the Rolex 24, where he joined fulltime drivers Andy Priaulx and Harry Tincknell to finish fifth in GTLM. Kanaan spent just over seven hours, 30 minutes in the No. 69 Ford GT during the race alone and was the third-quickest driver in the category, behind Ganassi teammates Richard Westbrook and Ryan Briscoe.